Recently, there has been a lot of interest in the subject of vegetarianism--in all its variations. Since a number of special interest groups and celebrities have promoted this approach to eating, the vegetarian diet has seen incarnations of everything from a popular fad to a political cause. My focus on this page is to discuss the implications of excluding meat or all animal products from your diet. However, for the sake of informing the curious and possibly edifying the misinformed, I will touch briefly on the reasons why people “eschew” meat--as opposed to “chewing” it! Vegetarians are people who, for any reason, do not eat meat, or, in some cases, any animal products. 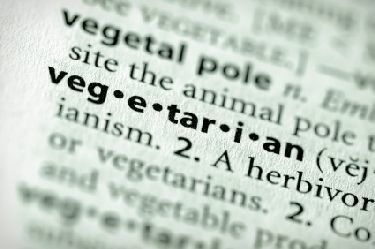 There are several categories of vegetarians, based on the type of animal foods, if any, that they include in their diet. At one end of the spectrum, you have what are called “vegans,” who do not eat any food derived from animal sources. This group may also be called “strict vegetarians” for obvious reasons. There are also “lacto-ovo vegetarians,” who eat no meat or fish, but do include eggs and dairy products in their diet, and “lacto-vegetarians,” who do not eat meat, fish or eggs, but do include dairy products. --Lacto-ovo Vegetarians include eggs and dairy products in diet. --Lacto Vegetarians include dairy products, but not eggs in diet. --Vegans exclude all animal products (no eggs or dairy products). As a rule, in order to be labeled “vegetarian” the diet would exclude all so-called "flesh" foods. There is no question that eating more fruits and vegetables and less meat provides a health benefit. The larger question is whether eliminating all animal products and/or meat is necessary to get these benefits. Nevertheless, most health experts agree that a vegetarian diet, when based on sound nutrition principles can be beneficial to your health. Those who maintain a healthy vegetarian diet tend to have a lower incidence of high blood pressure, heart disease and some cancers. They also may be more likely to avoid obesity and diabetes, which are currently major concerns in health care. There is even some evidence that a vegetarian diet may help prevent osteoporosis as well as help you live longer. It is important to remember that these benefits are based on an informed approach to eating, and not merely on eliminating meat or animal products from the diet. Interesting Fact about Vegetarian Diet: One of the reasons why there may be a correlation between a vegetarian diet and good health is that vegetarians tend to make healthier choices in general in terms of lifestyle, including being active and avoiding tobacco, excessive alcohol use, and chemical additives in foods, cleaning supplies and personal care products. There are millions of people worldwide who eat a vegetarian diet due to their religious beliefs. In this case, either their religion forbids the consumption of meat or animal products, or strongly suggests against its use. Many Hindus and Buddhists, for example, do not eat meat for religious reasons. The Seventh Day Adventists number many lacto-ovo vegetarians among their congregations, due to church teachings against eating meat for health reasons. Since it takes many more resources, such as land, food, energy and labor to produce meat than it does to produce non-meat foods, there are many who embrace a vegetarian diet for philosophical reasons. They believe that the environment and the ecology of our world would be better off without the mass production of meat for consumption by humans. 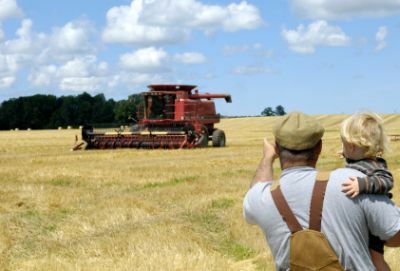 In addition, one could extend this philosophy to include the issue of world hunger where the resources that are used to produce meat may be better used to help alleviate the starvation that is occurring in many areas of the world. Sometimes people choose a vegetarian diet strictly as an issue of animal rights. These people do not want to be responsible for killing animals, even humanely, and therefore, they will not eat meat. They usually will not wear leather or fur either, since these practices also require that the animal be killed. --Caveat for Vegetarian Diet: Be wary of very restrictive diets, such as a “macrobiotic diet” that include only a few foods. It would be very difficult to get enough of all the nutrients you need for good health on such a regimen. It may be difficult for some of us to imagine, but there are some places where meat is either too expensive or not available in the food supply. In this case, the vegetarian diet is built around plant foods that are less expensive or more readily available. Finally, some people eat a vegetarian diet because they simply don’t like eating meat! If you don’t like asparagus or red beets, no one thinks it at all unusual if you don’t eat them. The same applies to meat; if you don’t like it, don’t eat it—no problem, as long as you replace it with other types of good quality protein. As with anything, there are advantages and disadvantages associated with a vegetarian diet. These pros and cons encompass the realms of health, nutrition, economy and even societal expectations. Anytime you restrict one food group in your diet, you may create nutritional concerns that need to be addressed. In the case of the vegetarian diet, there are some specific nutrients—Protein, Vitamin B12, Vitamin D, Iron, Zinc and Omega-3 Fats--that could be affected by eliminating meat from your diet. Aside from the nutrition concerns when following a vegetarian diet, there are also social considerations. Although in some places, people take a vegetarian lifestyle in stride, there are those who are uncomfortable or even disapproving of this way of eating. Some may feel that if you are a vegetarian, you think that everyone should be also, and that you will look down on them for eating meat. Others may think that vegetarian food is weird or unpalatable, possibly without really knowing what it is. Another group firmly believes that eating meat is “macho” and that “real men eat meat!” Invitations to dinner may be few and far between, because the cook simply does not know what kind of meal to make that does not have meat at its center. -When you make new friends, let them know reasonably soon that you eat a vegetarian diet, so that they will have that information before they invite you over for dinner. If they invite you before you get the chance, tell them right away before accepting the invitation. As an alternative, you may even suggest going out to a restaurant that you know has vegetarian food, so that everyone can be easily accommodated. -If you find yourself at a sit-down dinner where the menu is pre-set, just make the best of it and eat the things you can. This is probably not the best time to announce that you eat only a vegetarian diet. -If they are open to it, share recipes or favorite cookbooks with your family and friends so that they will get an idea of how you eat, and they can even use the recipes when they have you over for dinner. There are many people who simply can’t imagine what a vegetarian diet includes! -When traveling, take along some portable vegetarian food, such as dried fruit, nuts, healthy chips, crackers and peanut butter, or food bars to avoid having to track down something suitable while on the road. -Try to keep a sense of humor about reactions to a vegetarian diet. 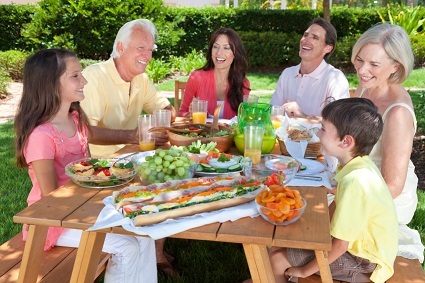 Click here for some interesting and even humorous vegetarian social experiences. Depending on the part of the world you live in, restaurant eating may also be a challenge for those who eat a vegetarian diet, because in many cases, restaurants do not include meatless meals on their menus--most likely due to the lack of demand for them. Oddly enough, the very low-cost restaurants and the very pricey restaurants are usually the most meat-centered. However, if you are not too picky, you can usually find something on the menu, or you can ask your server if the kitchen can prepare one of the dishes on the menu without the meat. This works well with many pasta dishes, salads and even some sandwiches. After all, we have no problem saying, “skip the mayo” or “hold the onions”! Portobello mushrooms, which have a kind of “meaty” flavor and texture, have become popular in restaurants as components of meatless sandwiches, “burgers” and other meatless dishes. Vegetable stir-fry and even vegetarian sushi is becoming more popular as well. In addition, many restaurants that specialize in burgers, will allow you to exchange the meat burger for a veggie burger—and you can still have all the trimmings! If you are looking for a restaurant that has a larger selection of vegetarian entrees, you may find Mexican restaurants, Italian restaurants and Chinese and other Asian food restaurants will generally have the widest range of meatless dishes. Vegans may have a harder time finding Mexican or Italian food that does not have cheese in it, but Chinese and other Asian food may work well for them. -One option for more casual eating, especially for vegetarians that include dairy products, is to order a “veggie” sub at the sub sandwich shop or a meatless pie at the pizza place. Even vegans can skip the cheese in the veggie sub, and still have a great sandwich, but a pizza without cheese may be more of a challenge! Many sandwich shops and pizza places are now offering a whole-grain bun or crust, which will make them a more nutritious choice. Breakfast is probably the easiest meal to eat out for vegetarians. Even a vegan, can find cereals and fruits that will suit their diet, while a lacto-ovo vegetarian will have an even wider selection, including egg dishes, pancakes, and French toast. If you find yourself eating at a restaurant that serves breakfast or brunch all day, you can order a nice veggie omelet, which can be as good for supper as it is for breakfast. There are even restaurants, usually found in large metropolitan areas, that offer exclusively vegetarian food. These can be a real delight for vegetarians, since it is rare to find so many meatless options on the menu. Are there any pros to being vegetarian? The advantages of the vegetarian diet are generally health and nutrition related. Of course, this assumes that the diet is based on sound nutrition and not just eliminating meat or animal products. A vegetarian diet tend to include more fiber. Since plant foods are the fiber foods, and animal foods have little or no fiber, it makes sense that if you eat all or mostly plant foods, you will get more fiber. This is not to say that meat eaters cannot get enough fiber in their diet, but only that vegetarians may find it easier. Fiber, both soluble and insoluble, is found in plant foods, including fruits, vegetables, legumes, seeds and whole grains. It is generally fiber that gives texture to foods. Celery has crunch because of insoluble fibrous strings in its makeup. The snap when you bite into a fresh apple comes from the pectin fiber in its skin. Whole wheat bread has a rougher texture, from the bran fiber that covers the wheat kernel before it is ground into whole-wheat flour. Corn on the cob has a satisfying crunch due to the fiber in the outer skins of the corn kernels. Apples, oranges, strawberries, raisins, cantaloupe, pears, sweet potatoes, avocado, celery, broccoli, cabbage, corn, carrots, Brussels sprouts, flax seeds, nuts, lentils, beans, brown rice, oatmeal, 100% whole-wheat bread. Dairy foods, meats, oils and sugars are noticeably missing from this list of fiber foods, because they do not contribute fiber to your diet unless it is added during processing. A vegetarian diet is a more colorful diet. Recently, there have been a number of studies that suggest that the colorful plant foods have a protective effect with regard to preventing disease. These are the deep green, vivid red and purple, and bright yellow and orange foods. The protective substances in these foods are called “phytonutrients"--and they appear to "fight" for you. Again, because of their reliance on all or mostly plant foods in the diet, vegetarians tend to eat a larger number and variety of these phytonutrients. This may be why vegetarians tend to have a lower incidence of heart disease and some cancers. There are generally more complex carbs in a vegetarian diet. When a vegetarian replaces meat in the diet with other forms of protein such as legumes, whole grains, seeds and nuts, they are also increasing the amount of “complex carbohydrates” or “good carbs” in their diet. These carbohydrates provide energy, without the problems that may be associated with eating too many “simple carbohydrates” such as white flour products and sugar. A vegetarian diet generally has less unhealthy fat. Since meat is a major source of saturated fat in the diet, it stands to reason that if no meat is consumed, the amount of saturated fat in the diet will be less. This is important to you because of the role that saturated and unsaturated fats play in your diet and in your health. Saturated fats, because they are so stable, tend to be harder to digest or to breakdown, while unsaturated fats, because they are unstable, tend to be easier to digest and are less likely to collect in inconvenient and dangerous places in your body. Saturated fats are also implicated in a rise in LDL levels (otherwise known as the “bad” cholesterol) in the blood. --Caveat for Vegetarian Diet: Since eggs and whole-milk dairy products also contain saturated fat, this advantage may only apply to vegans and those lacto- and lacto-ovo vegetarians who choose low-fat or fat free dairy products. Vegetarians are less likely to overdo on Protein. Believe it or not, it is possible to get too much protein in your diet. If you eat too much protein, your body can convert it to energy, but if that energy is not used, it will be stored as fat, which could lead to obesity. In addition, eating too much protein puts a heavier load on the kidneys as they work to get rid of the by-products of protein metabolism. There has also been some suggestion of a link between eating large amounts of animal protein (which is usually accompanied by saturated fat), and heart disease, some cancers and possibly diabetes. Vegetarians generally do not have the problem of eating too much protein because they have eliminated the most concentrated source of this nutrient—meat (along with its accompanying saturated fat). In fact, most vegetarians are concerned with just the opposite problem--getting enough protein. There may be fewer toxins in a vegetarian diet. If you think about it, it is very likely that vegetarians, especially vegans, eat fewer toxins, because the toxins in animal feed such as pesticides and environmental chemicals, are concentrated in the meat, and particularly in the fat of the animal. While a person eating plant foods may only be exposed one time to the chemicals that are in and on the plant foods they eat, animals are exposed throughout their life and the toxins they eat will be stored up in the fat in their bodies. In addition, most animals that are raised for meat are given hormones and antibiotics for various production reasons, and these can show up in the meat you eat. Dairy products, especially higher fat versions, can also have this problem. Of course, choosing foods from sources that use a minimum of toxins in their production can mitigate this problem. This concept applies both to vegetarians and meat eaters and may be one basis for helping your body to stay healthy. Grilling can be hazardous to your health There is significant evidence that grilling meat, fish and poultry produces carcinogens due to the high temperatures and “charring” that causes a chemical change in the meat. Since vegetarians don’t eat meat, grilled or otherwise, this could be considered an advantage to a vegetarian diet. Meat eaters can reduce their risk by marinating the meat first and by limiting the amount of grilled meat they include in their diet. A vegetarian diet may ACE the vitamin test. Although there are some vitamins that vegetarians may need to watch for deficiency, it is generally agreed that a vegetarian diet based on sound nutrition principles will have an abundance of Vitamins A, C and E. This is largely due to the fact that these vitamins abound in fruits, vegetables and whole grains. 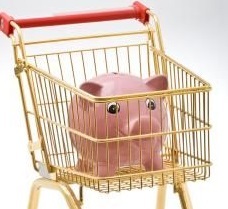 Eating vegetarian may be less expensive. A vegetarian diet may be easier on your pocketbook than a meat-centered diet. As a rule, plant sources of protein such as beans, peas and grains are cheaper than animal sources. A recent study suggested that vegetarians, on average, spend 20% less on food than meat eaters. However this advantage could be offset by the cost of meat analogs, more exotic fresh plant foods and pricey herbs and supplements, depending on what you buy and where you buy it. A vegetarian diet may have cause exposure to food-borne illness. Of all the things we eat, meat is most likely to be the cause of food-borne illness. Even indirectly, animal products can contaminate vegetables and other plant foods if they are not handled correctly. This is not to say that you can’t get sick from plant foods, only that it is less likely unless those foods have somehow come into contact with animal waste or other contaminated animal products. In addition, vegetables, fruits and whole grains are generally easier to digest, so a vegetarian is less likely to suffer from indigestion, unless there is some underlying health problem. As a corollary to this concept, a vegetarian kitchen may contain fewer of the microbes that cause illness, since many, though not all, of these bad actors originate with meat products. It is important to say here that proper food handling practices should be used in all kitchens regardless of a person’s diet. For a detailed description of these foods, along with cooking tips, please click on the link for each category. Aduki beans, Cannellini beans, Chick peas (garbanzo beans), Mung beans, Lima beans, Pinto beans, Black beans, Navy (white) beans, Haricot beans, Kidney beans, Soybeans, Green split peas, Yellow split peas, Black-eyed peas, Red lentils, Brown lentils and Green lentils. Click here for more information on Beans (Legumes). Almonds, Hazelnuts (Filberts), Brazil nuts, Cashews, Pecans, Pistachios, Walnuts, Pine nuts, Coconut, Sesame seeds, Chia seed, Flaxseed, Pumpkin seeds, Sunflower seeds, Poppy seeds, peanuts. Click here for more information on Nuts and Seeds. Amaranth, Brown rice, Wild rice, Cornmeal, Barley, Quinoa, Teff, Buckwheat, Rye, Wheat, Spelt, Oats and Millet. Click here for more information on Grains. Avocados, Bok choy, Radicchio, Endive, Beets, Kohlrabi, Sweet potatoes, Radish, Asparagus, Okra, Cabbage, Arugula, Romaine, Spinach, Carrots, Pea pods, Broccoli, Artichokes, Swiss chard, Tomatoes, Peppers, Cauliflower, Green beans, Sorrel, Dandelion, Watercress, Zucchini, Cucumbers, Celery, Rhubarb, Eggplant and Sea Vegetables, such as Kombu, Dulse, Nori and Arame. 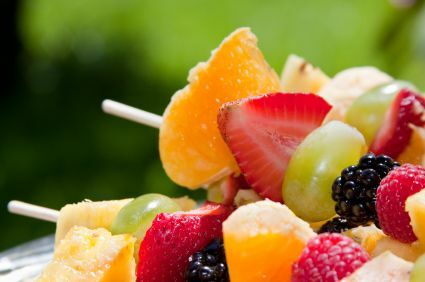 Apples (all varieties), Oranges, Bananas, Blueberries, Raspberries, Blackberries, Grapefruit, Kiwi, Strawberries, Grapes, Peaches, Melons, Pears, Pineapple, Lemons, Limes, Cherries, Apricots, Mangos, Papaya, Guava, Figs, Pomegranates, Cranberries, Dates, Passion fruit, and Tangerines. Vegetarian diets also may include a wide variety of seasonings, spices and herbs. Basil, Dill, Mint, Oregano, Tarragon, Rosemary, Marjoram, Turmeric, Sage, Parsley, Chives, Cayenne, Chevril, Bay leaf, Coriander, Cloves, Nutmeg, Juniper, Cinnamon, Mace, Cardamom, Caraway, Anise, Fennel, Cumin, Fenugreek, Ginger, Tamari, Miso, Brewer’s yeast, Mustard, Tahini, Celtic sea salt, Pink Himalayan salt and Saffron. Click here for more information on Spices and Herbs. Agave syrup, Raw sugar, Turbinado sugar, Honey, Molasses, Malted barley, Sorghum, Demerara sugar, Maple syrup, Date sugar, and carob. For those who are used to planning meals with meat as the centerpiece, it may be difficult to know where to begin with a meatless meal. The way to do this is to start with a main course that includes a protein food or two. Then add some side dishes that will complement the main course just as you would with a meat-based meal. Keep in mind that these are only suggestions. There are thousands of vegetarian and vegan recipes that can be found in cookbooks and on the web. As with any meal plan, try to make your selections colorful and pleasing to the eye as well as to the palate. By adding a deep green, leafy salad or some deep orange or red vegetables, you will not only increase eye appeal, but you will make the meal a phyto-rich cancer fighter. Whenever possible, choose the whole grain versions of pastas, breads and rice or pilafs, since they will help round out the nutritional requirements for your meal. There are many varieties of whole-grain pastas available now that taste great. You can also make your own pasta using a pasta maker. If you buy your bread, buns and rolls rather than make them yourself, check the labels carefully to make sure they are 100% whole grain and that they do not have any bad actors such as high-fructose corn syrup. If you don’t like 100% whole grain, at least try to find products that have some whole-grain flour. You can subtly “beef up” your baking by adding whole grain flours, finely-ground nuts and seeds or a variety of protein supplements. One enterprising author even suggested adding pureed vegetables to your baking as a way to get some extra nutrients into the diet. It is probably better to eat your veggies raw or lightly cooked, but this is not a bad idea if you are trying for more nutritious baked goods. Former meat eaters who find themselves missing some of their favorite meat dishes may find that at least some of those dishes can be made with “meat analogs.” These are soy or grain based foods that are designed to resemble meat. For instance, you can make a “chicken” salad with a chicken analog or add “burger” to your tacos or chili. Since these are processed foods, it is not recommended that you use them all the time, but occasional use can add protein—and maybe some fun--to your diet. You could even have a “BLT” using fake bacon if you are so inclined. In most cases, breast milk is the best choice for babies—including vegetarian ones--because it contains the right quality and quantity of protein and other nutrients for your baby’s good health. If breast-feeding is not possible, there are soy-based formulas on the market for those who wish their baby to be a vegan. It is generally recommended that babies be on breast milk or formula for the first year of life, but cereals and other cooked vegetables and fruits can be added starting at six months. Wheat-based cereals should not be given before six months to avoid the development of allergies. Egg whites should not be given until the baby is at least one year old for the same reason. You can make your own baby food by first steaming and then pureeing fruits and vegetables in the blender. (Some people use ice cube trays to freeze portions of homemade baby food for future use.) 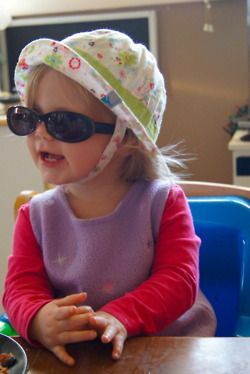 As the child gets older, and can handle more texture, you can use a hand-crank baby food grinder to make the dishes you serve to the rest of the family, suitable for your young child. Remember not to add sugar or salt to baby foods that you make. If you buy baby food, look for brands without added salt, sugar or chemicals. --Caveat: When you feed your baby, don’t rely on your own taste buds to decide if the food tastes good. I once watched a grandmother feeding her grandchild a jar of chicken baby food. Grandma kept tasting the food and adding salt until the food tasted good to her and then she fed it to the child. The added salt was not only unnecessary since the baby’s taste buds are more sensitive, but it also was undesirable in terms of the baby’s health. By the age of two, your child should be able to eat most of the things that the rest of the family eats. However, you should avoid giving him nuts (unless they are in nut butters) due to the choking hazard. Always make sure that the foods you give your young child are in small enough pieces for him to easily handle without choking. Starting at a young age, encourage your child to eat a wide variety of foods, so that he will be more likely to get all of the nutrients he needs for growth and development. Junk foods should be avoided or kept to a minimum, since they can lead to obesity and poor nutritional status in children—vegetarian or otherwise. Vegetarian children—particularly vegans—may be more likely to have deficiencies of protein, Vitamin B12, Vitamin D, Iron, Zinc and Calcium as mentioned above. These deficiencies can be avoided by feeding your baby breast milk or fortified formula, fortified cereals, a variety of vegetables and fruits and with age-appropriate supplements. Once the child is older, he will be getting his nutrients from the same sources as you do, so if you cook and eat healthy, he will be more likely to be healthy, too. Regardless of your reasons for eating a vegetarian diet, the most important thing you need to remember is to eat a variety of fresh, whole foods, including legumes, grains, seeds, nuts, fruits and vegetables. Stay away from empty calories, and make everything you eat count towards a nutritionally complete diet. Be adventurous, adding some new flavors and textures to your meals from the vast array of healthy foods that are available. This will keep your diet interesting and allow you to enjoy your food and stay well. Click here to go from Vegetarian diet page to What do Vegetarians eat page.